Stampin' Up! announced some colour changes today. The discontinued ones are only available while supplies last beginning today. I offer FREE shipping so please don't hesitate to place your order today so you don't miss out on your favourite. 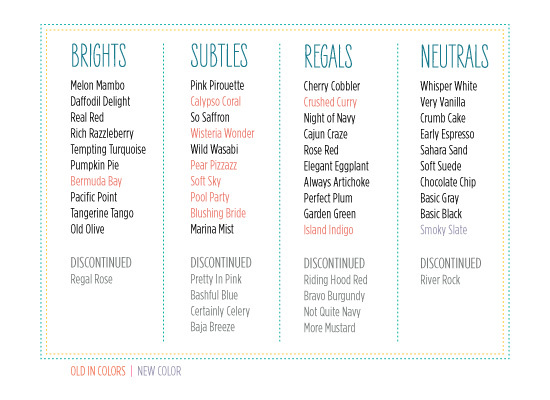 For example: Pretty in Pink is retiring so Pretty in pink ribbon and paper and ink are while supplies last. OMG! Got to order lots of that. Check out the changes today.